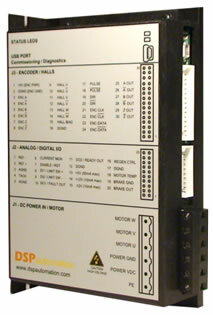 DSP Automation designs and manufactures servo drives for the global market. We have support, representation and manufacturing all over the world. We are a major supplier for semiconductor, machine tool, textile, electronic packaging, product packaging, robotics, medical and automation. We also provide many machine builders private labeled servo drives specifically designed for their requirements. DSP Automation with over 25 years experience in motion control delivers performance, reliability, best value and peace of mind for our customers. 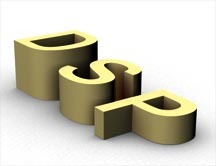 DSP Automation is now announcing our entrance into the CNC machine tool cutting industry. We are offering our digital servo drives matched with a high inertia servomotor. 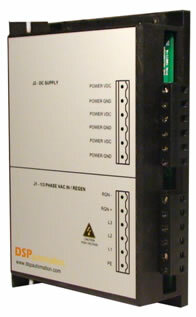 DSP Automation digital servo drives are designed to be the most optimum choice for motion control applications…. The A-Series analog servo drive is designed for PMDC brushed servomotors operating from 24 to 180 VDC and continuous current ratings up to 15 amps. 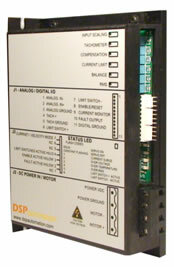 The XPM Power Module is used with both the X Series digital servo drive and A-Series analog drives to convert VAC to VDC. This is ideal for multi-axis applications.